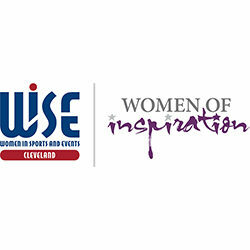 Cleveland, OH – 4/1/19 – Solus Lighting LTD is thrilled to announce the company’s Lead Designer and Owner has been selected as a 2019 Woman of Inspiration. This award recognizes women who have made a significant impact in the business of sports and events and who continue to serve as a positive role model and resource for the advancement of women in the industry. Currently, Patterson serves as Immediate Past President on the Board of Directors for the International Live Events Association Cleveland Chapter and serves on the Executive Committee for the ILEA Ohio WOW Awards. She is a member of Women In Sports & Events where she has participated as a mentor in their WISE Within program since 2013. In 2016, Patterson was recognized internationally as an Enterprising Woman of the Year Champion, and in 2017 was named the first honorary member of the National Association of Women Business Owners. A founding member of the Irish Network Cleveland, Patterson is also an active member of Plexus (LGBT & Ally Community Chamber of Commerce), the Kamm’s Corners Development Corporation, and the Ohio River Valley Women’s Business Council. Patterson’s top priority is the continued development of Solus Lighting LTD. The company doubled the number of employees in 2018, which positioned the organization for significant growth while maintaining the high standards set forth since inception.